Annual Reports in Computational Chemistry is a new periodical providing timely and critical reviews of important topics in computational chemistry as applied to all chemical disciplines. Topics covered include quantum chemistry, molecular mechanics, force fields, chemical education, and applications in academic and industrial settings. Each volume is organized into (thematic) sections with contributions written by experts. Focusing on the most recent literature and advances in the field, each article covers a specific topic of importance to computational chemists. 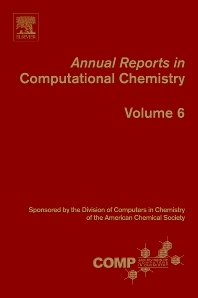 Annual Reports in Computational Chemistry is a "must" for researchers and students wishing to stay up-to-date on current developments in computational chemistry.